Why would I need self storage in Monsey, NY? There are a variety of reasons why you might need self-storage in Monsey, NY. How much is a storage unit in Monsey, NY? The cheapest storage unit in Monsey, NY is $59.00 per month. What size storage units do you have available in Monsey, NY? In Monsey, NY we have sizes that range from 5'x5' to 10'x30' to suit your storage needs. How much is it for a 5'x5' storage unit in Monsey, NY? The cheapest 5'x5' storage unit in Monsey, NY is $59.00 per month. Monsey is a mid-size hamlet in the town of Ramapo, New York. It's less than 30 miles north of New York City, which has made it a popular home for people who want a quiet community with quick access to big-city amenities. You can enjoy the small-town atmosphere in Monsey and still easily travel into the city for entertainment, work or shopping. The Rockland County Jewel, as its nicknamed, was first settled by Delaware Native Americans. They lived off the land for hundreds of years before the New York and Erie Railroad established a station in the area in the mid 1800s. When a town grew around the station, it was named after Native American Chief Munsee, though the name later became Monsey. Throughout the 19th and 20th centuries, Monsey welcomed a large number of Orthodox Jewish Americans. Today the small hamlet houses more than 100 synagogues. Monsey has plenty to offer its residents, including a thriving economy and a variety of recreational amenities. 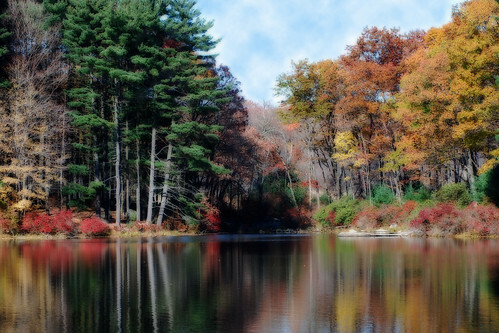 You'll find public green spaces, including the picturesque Harriman State Park, scattered throughout the hamlet. This beautiful park features plentiful walking trails, a serene lake, sports fields and campgrounds. Popular activities at Harriman State Park include fishing, boating, picnicking and wintertime ice skating. Public transportation is popular here, as it is in many areas of New York. Some Monsey residents commute to New York City for work, while others find employment in the town. If you do choose to work in Monsey, you'll find that most of the jobs in the area are in sales, administration and teaching. A number of residents also work from home, whether they telecommute or are self-employed. Other factors that attract people to Monsey include its very low crime rate, which has consistently dropped year after year. The town also offers a wide range of school options, including both private and public schools. The East Ramapo Central School District serves the students of Monsey. There are also many private school options in the area. Utilities: Monsey's major utilities companies include Orange & Rockland Utilities and the town of Ramapo public works department. Garbage and Recycling: Ramapo has an organized trash and recyclables collection schedule. Your collection days will depend on your home's location. Transportation: The Monsey Trails bus system provides convenient public transportation. Housing options in Monsey range from large single-family homes to compact apartments. You can expect prices to be quite high, but that's not surprising considering Monsey's East Coast location and proximity to New York City. Our lowest priced units in Monsey, NY average $59.00 per month. 48 people have reserved units in Monsey, NY in the past 30 days. There is 1 location within Monsey, NY's city limits.